This garden might look a little familiar. When we last saw it, it was in the winter issue, when the weather didn’t fully allow the rose bushes to flourish and the backyard to put its best foot forward. It was still a beautiful space, providing warm earthy colors, but we had to show it again in order to give it complete justice. 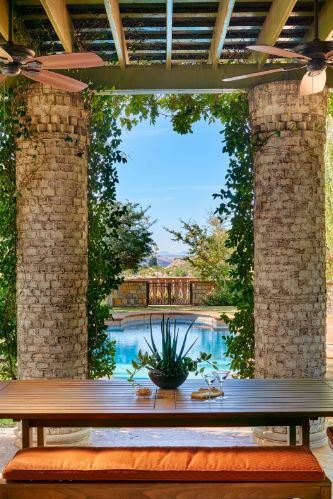 With a space so heavily influenced by European styles and family gatherings, the garden allows for plenty of room to entertain and also be inspired by the different elements. The garden is a spacious haven of soft green grass, tall colorful rose bushes, a tranquil waterfall and chickens—yes, chickens. The view doesn’t hurt, either. Since the house sits high up on a hill, the backyard overlooks El Paso, providing gorgeous views both day and night. It’s calming and invites you to drink a bottle (not just a glass) of wine while gazing out into the city. Double doors from a cozy, carefully decorated and mature study room lead you outside to this garden of bright greens and reds and pale pinks. It is a picturesque garden, the epitome of a space crafted for ultimate relaxing. You can picture yourself with a book in hand, laying out in the grass—with a portable fan of course, because this weather is not ideal—soaking in the sun. As soon as you step out into the garden, your body immediately relaxes; you begin to inhale and exhale a lot slower, your shoulders drop, and thoughts float away, letting the tranquility of the space take over. The homeowner says that this has been a progress. She reiterates from the last time, that her children have grown up in this house. She feeds the several koi fish that are swimming in the waterfall pond built on the second level of the yard. The waterfall covers up a hideaway seating in the background that connects to the small pond. 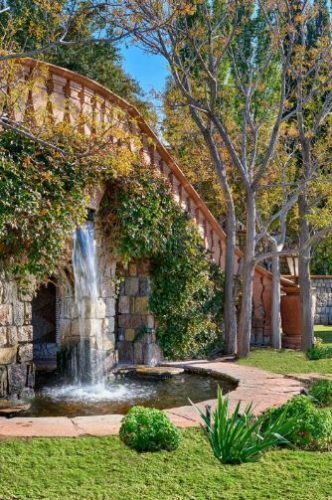 It’s the perfect place to take a late summer nap, the music of the waterfall as the soundtrack to your dreams. The second level is also home to the hearty chickens, who roam around freely, flightless residents of the backyard. They provide the family with eggs that they eat for breakfast. In a dramatic, very European effect, the walls are covered in a beautiful tangle of green vines claiming their property. It looks a lot more lush in this summer season. 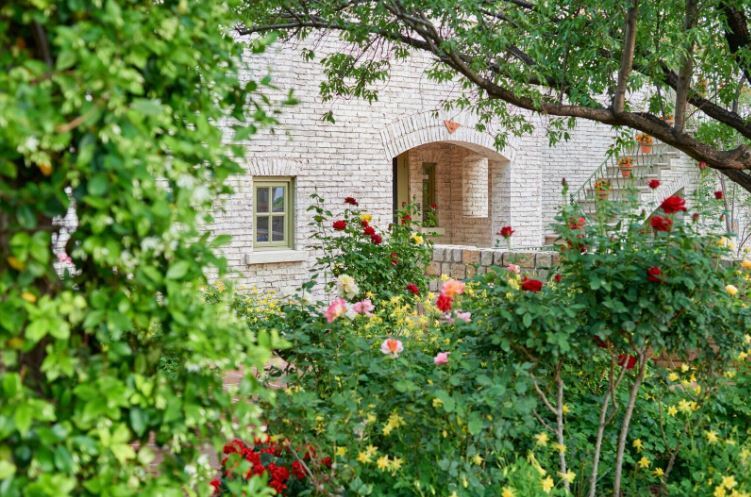 The homeowner walks around explaining that only recently has she joined the garden club in El Paso, shockingly taking first-place prizes on the plants she submits. You would not be able to tell from her backyard that gardening is a recent love. Another aspect more available in the summer is the pool. What used to be used to throw birthday parties when the kids were younger, has now been a more relaxing focal point to the backyard. Along with the tall trees that provide a cool shade, the pool also offers an alternative for beating the El Paso heat. The homeowner seems very relaxed giving me a walk-through of her backyard paradise. She tells me how the lowest level of the yard is not used too much, but it allows for access to the arroyo where she walks her dogs. Whether you’re a human, fish, chicken, dog, or even a turtle, roaming around this backyard is like being at home. A picturesque sunset is soon to encompass the sky, a view that the homeowner appreciates and can see from the comfort of her perfect garden.